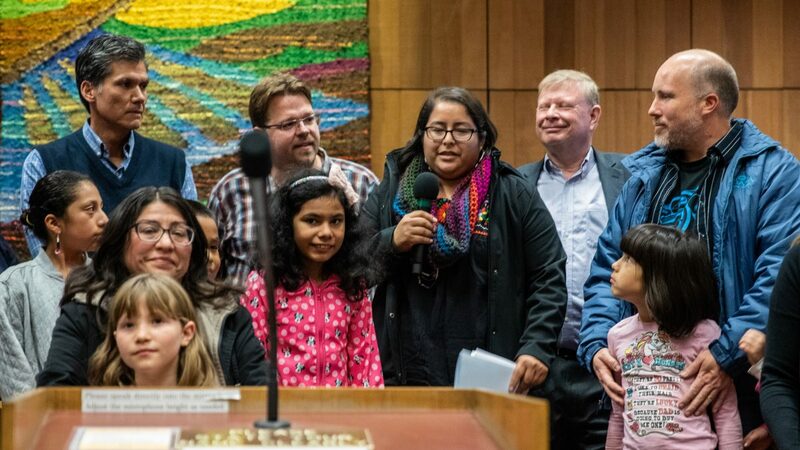 Lupita Torres acknowledging the proclamation with Mayor Brett Lee (far left), Lucas Frerichs, and Dan Carson (immediately on her other side). Melissa Moreno, who also worked on the proclamation, is in the front left. 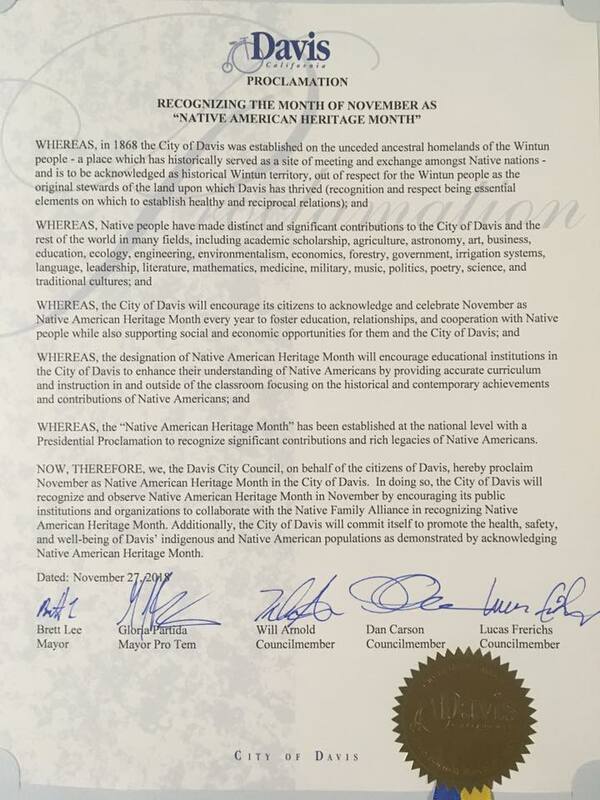 The city council on Tuesday issued a proclamation declaring November to be Native American Heritage Month. 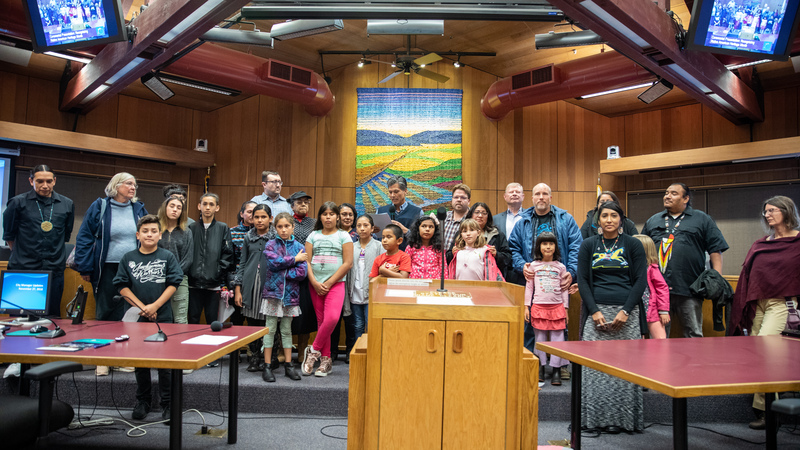 Melissa Moreno, who was just elected to the Yolo County Office of Education, and Lupita Torres helped draft the resolution. She said that next year they might have to submit another one “to be more inclusive of the Wintun elders.” She added, “The Native Family Alliance is really happy to receive this proclamation. We appreciate the support of the city of Davis. How did that woman who came to CC meetings the last few years and kept speaking after 3 minutes claiming ‘native privilege’ until the mayor had to shut the meeting down — feel about this?